Many marriages can have an international element to them. Perhaps you were married abroad, lived abroad during your marriage, or perhaps you or your spouse are now living abroad or have properties abroad. There are unique issues that arise on relationship breakdown if you are part of an international family with connections abroad, and we can advise you of the legal and practical implications of those issues. One of the issues that often arises when there is an international element to your marriage is where the divorce should occur. 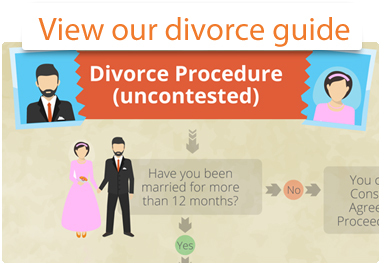 We can advise you of whether you meet the criteria to bring a divorce against your spouse in England and Wales. In some circumstances, you may be able to divorce in England and Wales even if you do not live here, but that will depend on your own individual circumstances and your level of ongoing connection to this country. We will work closely with you and tailor our advice to meet your individual needs. We understand this is a difficult time in your life. We aim to provide strategic and practical advice that is tailored to your individual needs to ensure that you obtain the best possible outcome. We will discuss your unique situation at your first meeting with one of our experienced divorce solicitors, including the reasons for the breakdown of your relationship, your family situation and your financial situation. We will then discuss the divorce process and what you can expect from it. We appreciate that this can be a complex and sometimes daunting process. 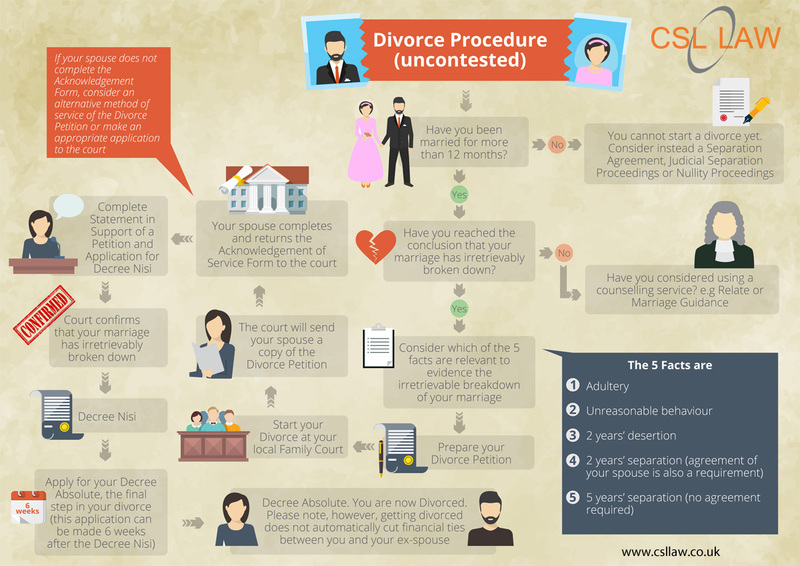 We are here to guide you and we have created an easy to follow summary of the divorce process that we hope you will find to be useful.